Being a research company and all, we’re in the perfect position to see what’s really going on behind the scenes in the manufacturing industry. On one side of the coin, we’re interviewing and surveying quality and manufacturing executives to understand their foremost challenges. And on the other side, we’re researching which current and emerging technologies and strategies are helping them overcome those challenges. When it comes to quality management, today’s executives are focused on three major business challenges: reducing costs, meeting compliance, and mitigating risk. And the multitude of factors (technology, trends, etc.) attributing to those challenges only continues to breach higher levels of complexity. These factors have also driven considerable changes to the way people, processes, and technology are leveraged across the enterprise. Of course, our research has shown that companies adapting to market changes and taking advantage of next-generation technology are the ones able to remain on top. In this post, we’ll inspect the technologies and strategies today’s market leaders have deployed and most likely will deploy in coming years--the things you have to know about to achieve and sustain competitiveness in 2014. We’re hearing more and more about internal quality councils that pull in personnel from across the value chain to gain different perspectives and identify new solutions to problems. Remember, quality impacts procurement, design, manufacturing, distribution, and service differently. Improvements to enterprise software have transformed the way businesses operate, and the quality management software category is no exception. Enterprise Quality Management Software (EQMS) is delivering unprecedented forms of quality functionality in the manufacturing environment and beyond. 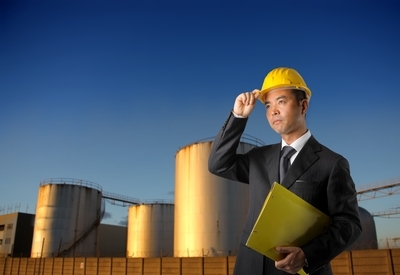 Visibility into supplier activities has traditionally been limited to on-site supplier quality engineers or electronic correspondence (email, FTP, etc.). Cloud-based portals—as part of EQMS solutions—are delivering new levels of communication and collaboration, helping to improve supplier quality before shipments are even made. Online reviews, tweets, discussions in forums, and so on offer a goldmine of product quality feedback, and companies are starting to take notice. Combining sentiment analysis with new algorithms and business intelligence tools, exciting new discoveries are driving better products and services all around. With EQMS automating quality processes, professionals have an entirely new set of quality performance data on end-to-end production processes within and between plants, as well as across the value chain. The types of correlations coming from this robust data set can be eye-opening. Not long ago, manufacturers, software vendors, and analysts were all talking about the move to mobile. Today, most leading manufacturers have some form of mobile application used for viewing reports, auditing remote sites, or capturing non-conformances. And at some levels, manufacturers are already using Big Data analytics to identify areas for quality improvement with large historical data sets from social media and end-to-end processes. Expect more solutions for this, and also a shift toward the use of more real-time data in the near future. The widespread use of IoT technology is not all that far off. It’s time to start learning about the solutions being developed for quality management, because in the coming years we expect to see a rise in IoT applicability in areas like in-line testing with sensors and process-to-process connectivity. Today, market leaders are moving well beyond siloed quality management, acknowledging the connection between quality across the value chain and business performance. It’s propelling arguably the most important trend of them all—the move toward a closed-loop quality environment. Closed-loop quality is the concept of connecting traditionally disparate quality process data and content from different functional areas, all with the goal of strategically and sustainably improving upstream quality. Although manufacturers have been thinking about it for years, the above nine points have transformed the reality and utility of closed-loop quality processes. For reference, take a look at data from our recent quality management survey. It shows OEE performance for the top 25% of performers versus the bottom 75% of performers. 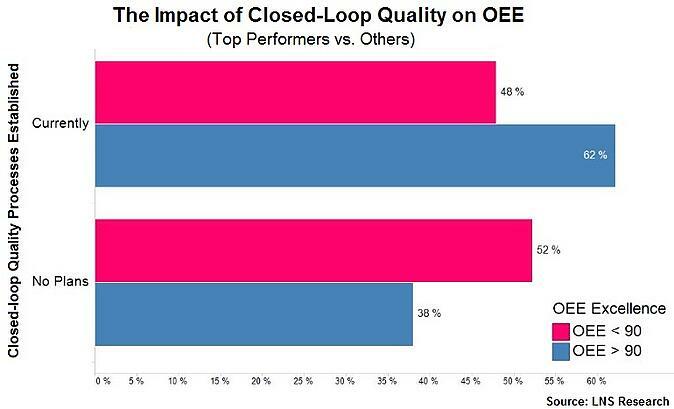 As shown, 62% of the top performers--all of which had an OEE of 90 or higher--had closed-loop quality processes established. Based on our research, we expect to see the number of companies with closed-loop quality processes established quickly increase in the coming years. When it comes down to it, companies putting off or overlooking the benefits of closed-loop quality—and the technologies and strategies above—are asking professionals to do more with less. At a time where the global competitive environment is rapidly heating up, relying on outdated resources is only widening the gap between agile businesses and everyone else. If you’re interested in learning about how you can make use of the above points and develop your own closed-loop quality environment, join us on June 17 for a webcast on the topic. LNS’s Mehul Shah and Mark Baker will be presenting findings from a recent LNS study, and also strategies for enhancing closed-loop quality management and quality analytics.